When we take a drug in a tablet or capsule form, does it sustain in our digestive system long enough so that the active ingredient reaches our blood to relieve pain or fight infection effectively, especially when compared to receiving the same drug as an injection? Scientists at SFI’s BEACON Bioeconomy Research Centre, hosted by UCD, and Nuritas have joined forces to investigate this question of oral bioavailability in naturally occurring molecules, called peptides, from food or food by-products. 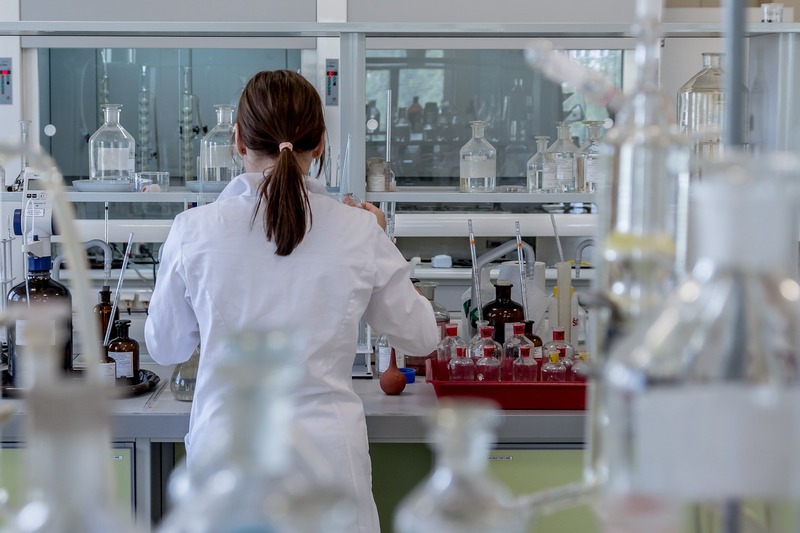 The public-private research partnership, led by Prof. David Brayden, a senior scientist at BEACON, and Dr Nora Khaldi, CSO & Founder of Nuritas, has the potential to be a game changer for the biopharma industry and patients alike. Nuritas uses its artificial intelligence (AI) platform to identify natural peptides from food or food by-products. Peptides are the major signalling molecules in humans and as such have numerous health benefitting functions such as anti-inflammation, anti-microbial and blood glucose regulation. To get the most of these bioactive molecules, they must last longer in the body, after swallowing and passing through the intestine and liver, in order to reach the bloodstream intact. Prof Brayden, a world-leading expert in drug delivery and oral bioavailability, will be using established and innovative techniques to create oral dosage forms of natural peptides discovered by Nuritas. “To be able to take food-derived natural peptides and create an oral delivery system with pharmaceutical applications will be a major advance for both the biopharma industry and patients. This is a holy grail of the industry and something they have been working to develop for decades. Such advances have the potential to reduce industry production costs. Patients would also have the convenience of being able to take tablets or capsules, thereby reducing hospital visits, which is likely to improve treatment compliance and outcomes. We would also be advancing the development of our bioeconomy by using food-derived natural peptides”, said Prof. David Brayden. “Although very efficacious, many peptides have low oral bioavailability, so identifying new ways to improve their delivery to the bloodstream will allow diseases reliant on injectables, such as diabetes, to be treated with drugs in tablet or capsule form. This in a way helps us to disrupt beyond the discovery of peptides into improved delivery of efficacious oral peptides. We will be doing this through computationally understanding the structural, physical and chemical requirements of bioavailable peptides. This can change the way drugs are discovered as we want our AI system to integrate bioavailability at the very start of the prediction, reducing the risk of failure during later drug development phases. “said Dr Nora Khaldi. BEACON is working to revolutionise the bioeconomy by addressing national and global societal challenges. The centre does this through strategic research developed in collaboration with industry. “This project is a perfect example of using advanced technology to generate bio-based products of enhanced societal and economic value from our natural resources, which is the core focus of the centre’s work’, said Prof. Kevin O’Connor, Director of BEACON. “By bringing together Nuritas’ AI technology and Prof Brayden’s oral peptide delivery expertise, this project could have a major global impact on drug development”, concluded Dr Nora Khladi.